The snow is melting and now you are officially dreaming of your PEI vacation. Worried you are wasting time when you could be booking your dream stay in Cavendish Beach? We’ve got you covered. Here is a list of things you could be booking RIGHT NOW. It will be one less thing to worry about in your travels and also get you dreaming of sand between your toes and ice cream for breakfast. Arguably the most important part of any vacation is the place you call “home”. Luckily for you, Cavendish Beach provides you with every kind of stay experience you could be looking for. A cottage to call your own? We’ve got that! An inn to drop your bags and run to the beach? No problem! A campground to pitch your tent? We’ve got a few! We have a list of amazing places you can stay. It’s never too early to book! Do you want to get to Charlottetown without worrying about directions? 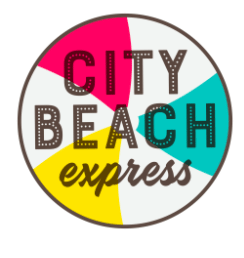 City Beach Express is the perfect opportunity! They drive between Charlottetown and Cavendish Beach all day long in the summer to ensure you can get from the beach to a play at Confederation Centre of the Arts with no problem! *Don’t worry, you can also take the shuttle to town to enjoy a walk on Victoria Row, a walk around the harbour and more. Check out our friends at Discover Charlottetown for all things Charlottetown offers! 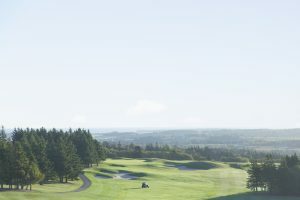 Coming to Cavendish Beach to golf? Of course you are! We have the perfect Golf Course for every player. We offer some of the best courses in Canada – perfect for the novice player and the professional. We have a full list of places for you to book. Can’t choose? Why not try them all. Okay, you can’t really “book” free time, but at Cavendish Beach – the clock stops. You’re on Island time, meaning you can have ice cream for breakfast, or explore the beach at sunset. 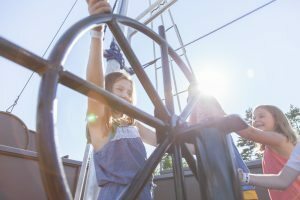 You can ride the Ferris Wheel at Sandspit to see the breathtaking view of the ocean or try deep-sea fishing. Okay, we don’t want to brag TOO much – but we’ve got some of the best dining on the Island! Why? Because it’s fresh! Watch the boats come into the Rustico Harbour and later that day enjoy the freshest mussels, lobster and oysters you’ve ever had! In Cavendish Beach, we have a food experience for everyone! 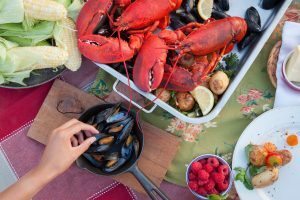 You can host 50 of your friends at one of our Lobster Suppers or enjoy an intimate dining experience at The Mill. We have restaurants galore in Cavendish Beach, and you might want to start planning just how you can eat at them all. At Cavendish Beach, we want to make sure your stay is perfect from the time your feet hit the sand. Whether you are arriving by boat or by car, Cavendish Beach welcomes you. Want help planning your stay? Message the experts anytime!